The cat bond and reinsurance markets are likely to be affected by a new study by the US Geological Survey. It concludes that there is a higher risk of earthquakes in many parts of the US than was previously thought. 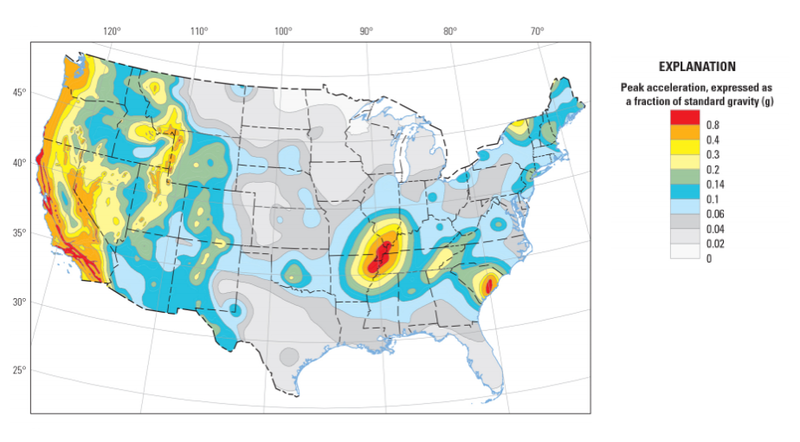 For the sixth time since 1976 the latest scientific thinking on US earthquake risk has been consolidated into detailed maps that quantify the likelihood of earthquakes across all 50 states. By reviewing scientific developments since the last maps in 2008, the USGS has identified significant changes in earthquake risk in many parts of the country. Map comparing change in peak ground acceleration for 2-percent probability of exceedance in 50 years and VS30 site condition of 760 meters per second. Difference between the 2014 and 2008 versions of the national seismic hazard maps. The findings of this project are much more than a scientific curiosity for the reinsurance industry. These maps are fundamental building blocks for the catastrophe models that are used by insurers, reinsurers and cat bond investors. An elevated level of risk would mean that regulators and rating agencies will require insurance companies to buy more reinsurance or issue more cat bonds. The market has seen this kind of dynamic before. In 2011, RMS updated their US hurricane model to incorporate the lessons from events such as Hurricane Ike (2008). This significantly increased RMS’s view of windstorm risk in some parts of the US – in particular some inland regions. These changes had a direct effect on reinsurance pricing. In fact, the market anticipated the model changes and reacted before the model was released. 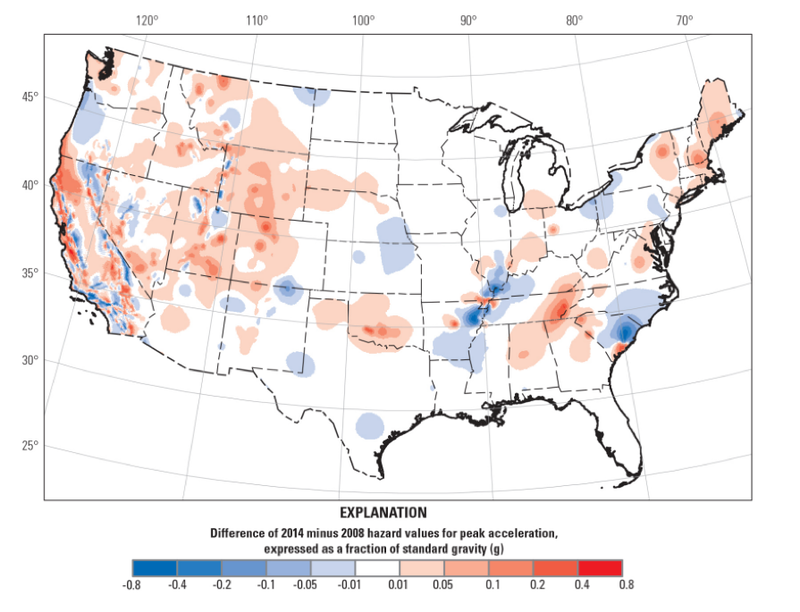 Among the findings of the 2014 earthquake maps is the belief that larger earthquakes could strike the East Coast than had previously been identified. A magnitude 5.8 earthquake that struck Virginia in August 2011 was one of the events that steered geoscientists to this conclusion. In California, it is now understood that earthquake hazard extends over a wider region. New faults have recently been discovered near San Jose, Vallejo and San Diego. Near the town of New Madrid, Missouri (the location of the largest US earthquakes in recorded history in 1811 and 1812), the new maps have identified a larger range of potential earthquake magnitudes and locations than was previously believed. The magnitude of these changes are as big as plus or minus 40% at some locations and plus or minus 20% over broad regions. It will take time to work through the detailed implications of these changes. The next step will to be figure out how the changes in earthquake risk will impact population centres. A good understanding of insurance risk requires more than knowledge of the likelihood of earthquakes. It is also important to understand where building values are concentrated and how those types of building are likely to respond to the next big event. If the updated USGS maps do cause insurance companies to buy more protection then this would be welcomed by participants in the insurance linked fund industry. 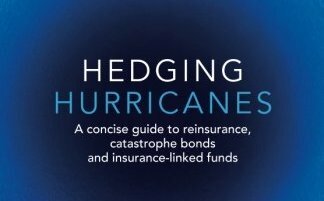 Cat bond issuance is currently dominated by US hurricane risk and earthquake bonds would be given an enthusiastic reception by investors. Map showing peak ground acceleration for 2-percent probability of exceedance in 50 years and VS30 site condition of 760 meters per second.